Fast food is as popular in Britain as it is in America, and a recent investigation into six well-known restaurants revealed an often-overlooked breeding ground for bacteria: the ice machine. Researchers took ice and toilet samples from ten fast food outlets on High Street. Six samples, including McDonald’s, KFC, Starbucks, Burger King, Cafe Rouge and Nandos, showed higher levels of bacteria in ice than in toilet samples. Are toilets getting cleaned more frequently than ice machines? Out of the six samples, four actually contained enough microbes to be labelled a “hygiene risk.” Samples from McDonalds, KFC, Nando’s and Burger King contained more than double the levels of bacteria that are expected to be seen in drinking water. The results of this investigation prompted the outlets to review their cleaning procedures. Failure to clean scoops and ice machines on a regular basis can result in bacterial growth. Study leaders note that all places that serve food to the public should train their staff in how to handle ice. Some people may think that germs can’t survive in the freezing cold climate of an ice machine; however, this is far from the truth. Dangerous bugs such as E. coli can thrive in cold environments. Most of us take the time to disinfect our toilet bowls, showers and maybe even our garbage cans once in awhile, but according to health and safety experts, bacterium, some that are not so safe, lurk in unsuspecting places in our homes. The kitchen sink where we rinse our dishes, rinse food and perform other tasks is an excellent breeding ground for illness-causing bacteria such as E. coli and salmonella. Just because you rinse your sink with water, don’t expect it to be clean. Spray a solution of half bleach and half water in your sink daily and wash it down the drain. The television remote control is another place where germs may be lurking. The remote is often passed around, dropped on the floor and seldom cleaned. Spray a little of the same bleach solution that you used to clean your sink on a rag and wipe off your remote from time to time. Cleaning out your home ice machine is also a good idea. Remove the collection bucket and clean with distilled vinegar and warm water regularly. If you have a built in water and ice system, wipe down the dispenser area weekly, if not more frequently with distilled vinegar. 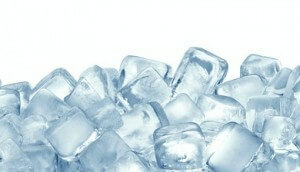 It is recommended that you replace the ice machine in your fridge once every five years. Hey Buddy!, I found this information for you: "More Bacteria in your Ice than in Toilet Water". Here is the website link: https://www.thealternativedaily.com/more-bacteria-in-your-ice-than-toilet-water/. Thank you.